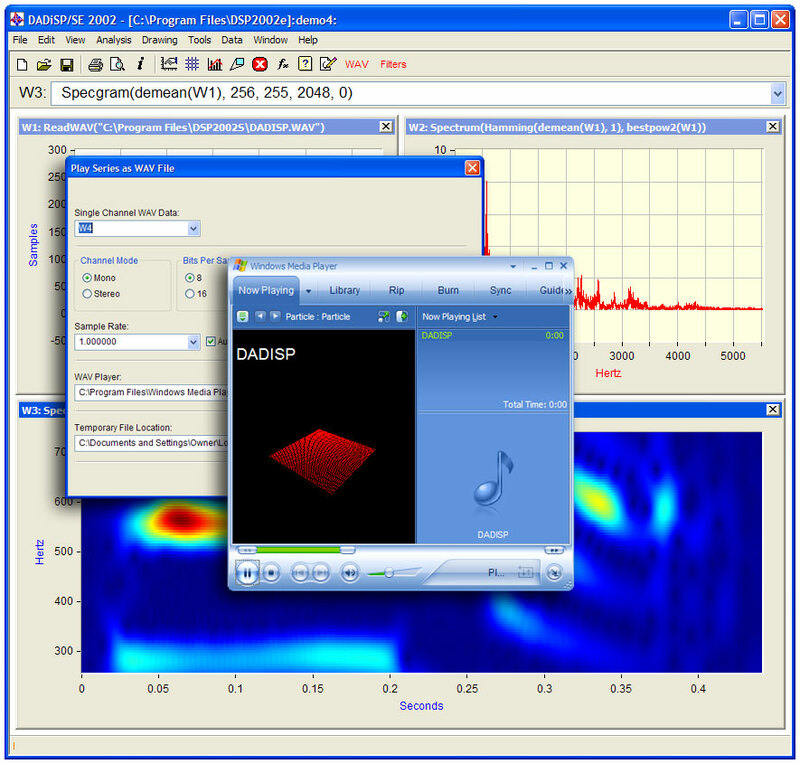 DADiSP/WAV is fully integrated with the DADiSP Worksheet to provide a complete digital audio data analysis, display and processing environment. 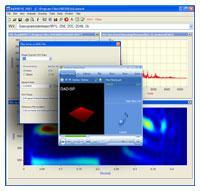 DADiSP/WAV allows the user to quickly read, write, and edit digital audio data from WAV format files via easy-to-use pop-up menus or simple one line functions. The DADiSP/WAV module supports PCM integer WAV format and Extensible floating point WAV format for mono and stereo data files giving users the flexibility to work directly with their data and take full advantage of the WAV file format.